TrueUSD (TUSD), the first asset issued by the TrustToken platform, ERC20 stablecoin pegged to the value of the US Dollar that utilizes a distributed network of trustworthy escrow accounts to fully collateralize client funds, ensuring TUSD is consistently backed 1-1 by USD fiat reserves. The use of numerous escrow accounts as opposed to one centralized bank provides token-holders with accountability of funds at all times and legal protection against any misappropriation, ultimately reducing counterparty risk. Trust firm accounts in the network are required to publish their fiat holdings publicly on a regular basis and are subject to monthly attestations. To further the confidence that users funds are safe third-party security audits of trust firms are consistently carried out by world leading auditors for best security practices. Although TrustToken recognizes that making use of escrow accounts is certainly not the end game to a truly decentralized stablecoin, they appear open to exploring other possibilities once the cryptocurrency ecosystem matures enough for such a solution to be achievable. Ultimately, in a market where firms such as Tether (USDT) have taken advantage of user funds by providing no proof of solvency while storing fractional reserves in one centralized account, TUSD appears one of the most viable options for traders to hedge their portfolio against often extremely volatile market conditions. Up until recently, there was little debate over whether one could trust a specific stablecoin. With so much noise in the space and profit to be made, individuals were simply too distracted to comprehend the relative safety of their funds. Over the past year, however, such an outlook has predominantly changed, which can largely be attributed to the Tether (USDT) scandal that began in 2017 and continues to unravel in the cryptocurrency market today. After an investigation from both avid cryptocurrency community members, namely Bitfinexed, and now more trusted investigative journalists such as Bloomberg and The New York Times, it has become apparent that Tether was likely used to inflate prices during the 2017 bull market benefiting exchanges such as Bitfinex who possess dubious ties to USDT. Perhaps more importantly for market participants, however, has been the clear acquisitions of the “Fractional Reserve Baking” method being utilized, where only a fraction of USDT funds is verifiably backed by money in a physical bank account. Continuing to add doubt to this debate, is Tethers inability or unwillingness to provide regular audits for their users, questioning the solvency of their funds altogether. Moreover, the inability to withdraw funds on exchanges such as Bitfinex and Kraken on certain occasions has spooked users who now want reassurance that their funds are verifiably safe and so are actively looking for new stablecoin alternatives. While numerous stablecoins are now battling to become the new pegged cryptocurrency of choice, which stablecoin will prosper will likely reflect firms who clearly tackle the failures of USDT. Ultimately, becoming the newly trusted counterparty for traders the ecosystem needs. The underlying technology of stablecoins can be categorized into three key areas: fiat-collateralized, crypto-collateralized and non-collateralized. All models possess their own unique strengths and weaknesses and so it is what market they wish to facilitate or the philosophy of their founders that ultimately determines which category a stablecoin falls under. First, fiat-collateralized stablecoins such as TrueUSD and Tether are rooted in a similar fashion to traditional fiat currency issued by a bank, they simply represent an IOU for a specified amount of money. As such, each stablecoin token equates to the equivalent value in USD (or any other fiat currency), 1 fiat collateralized stablecoin = 1 USD/other fiat currency. This method is perhaps the most viable option for a stablecoin at current, the cryptocurrency market continues to be extremely volatile and fiat reserves can provide the stability that simply no other type of stablecoin can achieve as if the cryptocurrency market collapses the reserves remain in fiat and so are unaffected. The model also has the ability to be highly regulated and so one can be more likely to receive legal discourse from the issuer if the stablecoin fails to hold value. This is all well and good if you can trust the party which has issued the stablecoin, but ultimately you are once more relying on a centralized party to determine your financial fate. As such, continual audits carried out by independent third party firms are essential to ensure that funds are indeed solvent. Second, crypto-collateralized stablecoins such as MakerDAO’s DAI. This method aims to circumvent the traditional fiat system altogether by providing a specified cryptocurrency as collateral as opposed to a fiat currency. In this manner, centralized intermediaries can be avoided altogether and a stable currency can exist without needing any entity to rely on other than the cryptocurrency market itself. The caveat to this solution is that as everyone is fully aware of, the cryptocurrency market is especially volatile, and so if the market crashes, measures must be in place to ensure enough reserves are held. The way to mitigate such a ‘black swan’ event is to over-collateralize the stablecoin so that it can absorb extreme price fluctuations. If the price fluctuation of a crypto-collateral reaches a certain point of instability the balance will automatically get liquidated, managed entirely by the blockchain. Although this seems to ensure the security of funds at first, the catch 22 is positions will be liquidated back into the cryptocurrency that was chosen for collateral, for example, Ethereum, which would likely be almost worthless in the case of such a ‘black swan’ event. Companies such as MakerDAO are beginning to try to mitigate this risk by multi-collateralising DAI against numerous different assets, but until this proof of concept proves to be a success, it cannot be shown to be the most secure stablecoin in the market. Finally, non-collateralised stablecoins, which are simply not backed by collateral whatsoever. This idea is akin to when the Gold standard was removed in the US and the transition to fiat money began. No longer was cash backed by Gold in a secure location, instead, parties simply had to trust the government that they were good for their word, the money was available if needed and no individual needs to be concerned. After numerous cases of government failure in countries such as Zimbabwe, Venezuela and more recently Turkey, however, It is clear that the ability of governments to control the money supply in certain parts of the world is broken. As such, to consider such a model for a cryptocurrency stablecoin becomes even less appealing. If one cannot trust certain governments to keep funds safe, then placing that authority in the hands of a for-profit cryptocurrency firm seems at best irresponsible. Basis is a perfect example of a non-collateralised stablecoin failing to foresee the regulatory requirements necessary for the success of such a project, recently being forced to return all funds to investors. Perhaps the most obvious problem that stablecoins aim to mitigate is the extreme volatility the cryptocurrency market has shown since its inception. Although this may be extremely beneficial for experienced speculators, the continual fluctuations in the market value of cryptocurrencies ensure they are currently a useless store of value. Until the market matures enough so that well-known cryptocurrencies such as Bitcoin are akin to traditional assets such as Gold, one can expect the value of their account to fluctuate by double-digit figures in a single day on a regular basis. Ultimately, this stifles real-world adoption as the cryptocurrencies we know today cannot be used for regular transactions unless businesses and consumers want to take on unnecessary risk in the hopes of long-term profit. Moreover, individuals who live in countries with corrupt governments are not interested in speculating in order to profit, they simply want to utilize the revolutionary technology that is blockchain as a store of value to escape their collapsing economy while maintaining the value of their assets. At current, cryptocurrencies such as Bitcoin and Ethereum cannot offer them that guarantee. Outside of corrupt states, a reliable store of value will become increasingly necessary as roughly $256 trillion worth of real-world assets begin to become tokenized. Such a process is already starting to take place, with tokenization occurring in key markets such as real estate, commodities, securities and fine art at current, with the list only set to expand as individuals strive to transact value with one another on a global scale using tokenization to offer innovative investment opportunities such as shared ownership. What is lacking for the success of tokenization, however, is a definitive store of value that cryptocurrencies themselves cannot yet provide and perhaps never will. For tokenization to prosper, a stablecoin which is consistently audited, that offers guarantees over the underlying assets with full collateral and possesses legal consequences for bad actors and remunerations to affected parties is essential. Up until recently, no stablecoin in the market offered such advantages. Whereas Tether has decided that only fractional reserves placed in a centralized location are necessary for their product to function effectively, TrueUSD has implemented full collateral for their clients using a distributed network of trust company escrow accounts. Such a prospect is extremely more robust as it ensures every TUSD that is minted is fully collateralized by USD ensuring client funds are safe at all times. The system works as follows, every time an individual decides to purchase TUSD they must clear their USD through one of the trusted decentralized escrow accounts, the corresponding USD is then held in that account ready to be retrieved any time the client deems necessary. If USD is redeemed the escrow fund burns the associated TUSD ensuring there is a continuous 1:1 ratio between TUSD in circulation and USD in the escrow accounts. This is a considerably superior offering to what Tether has chosen to provide its clients where one can never be certain whether the USDT is not only fully collateralized but backed by physical USD at all. Besides Tether not being verifiably fully collateralized, centralization of funds in one single bank account is incredibly risky as it is far more prone to being hacked as a single point of failure. TrueUSD tackles this head-on with it’s distributed network of trusted escrow accounts, a traditional banking protocol that has worked effectively for high value accounts for a considerable amount of time. Although Tether now provides some transparency of their funds to the public, the fact that this is an internally organized audit furthers the question of the solvency of their funds altogether. Such a publication could easily be corrupted by those within the organization if they perceived they were at risk of losing their current market dominance. To combat such an issue TrueUSD provides regular audits to the public which are carried out by trusted third-party companies with no skin in the game. In the unlikely event that TrueUSD was proved to be insolvent, they would be called out by such trusted third parties who would not be willing to risk their reputation to uphold a company which they have no fiduciary responsibility for. This provides TrueUSD clients confidence that their funds are undeniably safe. Further to the never-ending scandal of Tether, in certain instances, clients have been unable to withdraw USDT from exchanges such as Bitfinex and Kraken in order to exit the cryptocurrency market for fiat. Ultimately, this has left experienced traders unable to withdraw funds at specific times where the market appears to be turning bearish. This leads those individuals to lose out on profit that they should be legally entitled to. The trusted escrow accounts which hold TrueUSD would be held legally accountable in such instances if they could not exchange client funds for fiat at a specific instant. Although placing TUSD on centralized exchanges does not necessarily guarantee any legal action will be taken if funds cannot be withdrawn when chosen, such initiative with their escrow accounts should force centralized exchanges to follow suit if they wish to retain clients moving forward. Fiat-collateralized stablecoins currently seem to be the most viable solution to ensure the absolute safety of user funds if designed correctly. As previously mentioned, TrueUSD is fully collateralized utilizing a distributed network of trusted escrow accounts which are consistently audited, and legally responsible for the loss of any of its client funds. Ultimately, TrueUSD appears to have learnt from the failures of their predecessors by tackling each and every issue that one might be concerned with when placing their trust in a centralized authority. In fact, it could be argued that TrueUSD itself is decentralized, as although the company is clearly centralised, the way in which client funds are managed in a decentralized network of accounts ensures that a single point of failure is avoided and detaches the company from the process of minting and burning TUSD altogether. As a fully collateralized, regularly audited and legally backed stablecoin, TrueUSD appears to provide the cryptocurrency ecosystem with the essential attributes that are necessary for real-world use cases. For example, for those who are seeking to escape corrupt regimes or increasingly volatile fiat currency situations, TUSD appears a viable hedge which would be definitively more secure than holding USD cash reserves in person. The distributed network of escrow accounts that TrueUSD works with provides immense security of funds above what one single individual could ever achieve while providing legal protection from any loss of funds. One use case for such economies is where salaries are paid in TrueUSD, if adopted this has the potential to circumvent government issued funds altogether, allowing TUSD to become a prominent medium of exchange for countries in desperate need of currency stability. Perhaps what is more foreseeable in the immediate future, however, is the role that TrueUSD could play in the tokenization of real-world assets. An increasingly growing market in desperate need of a reliable store of value, TrueUSD has the potential to become the medium of choice for those looking to tokenize real-world assets such as real estate, fine art, and commodities such as gold. With the infrastructure in place to provide a safe store of value with full collateral, regular third-party audits and legal compensation for bad actors, the potential for TrueUSD to capitalize on this market is certainly present. Alongside becoming the stablecoin of choice for cryptocurrency exchanges globally, the tokenization of real-world assets appears to be the next best application for TUSD. Ultimately, if TrueUSD can dominate this market before others then the success of their stablecoin could substantially surpass Tether’s current market capitalization, as $256 trillion dollar market awaits. Tackling Tether: Up until recently the market dominance of Tether has truly outweighed all stablecoins that have chosen to challenge, as no fully encompassing solution could be found to tackle the broad inadequacies faced. TrueUSD is fully collateralized, consistently audited by trusted third parties and a legally backed stablecoin that directly tackles the untrustworthiness of the Tether project. As the market for stablecoins continues to fracture it will not be long before a new pegged currency becomes the stablecoin of choice in the market. Many exchanges are now disserting Tether as their sole stablecoin and introducing others, for example, BBOD will be accepting deposits in TrueUSD offering futures trading on 16 different cryptocurrencies trading pairs against TUSD. Emerging Markets: During the cryptocurrency bull run of 2017, stablecoins were seen merely as a way for traders to hedge their portfolio to avoid any negative market downturns. As the market has developed, however, it has become clear that there are multiple other use cases for stablecoins. Perhaps the most poignant is the $256 trillion market for tokenization of real-world assets into digital assets. In order for this to occur on a mass scale a trusted stablecoin most be available for those seeking to place large amounts of value onto the blockchain. TrueUSD appears poised to appeal to this market if achieved TUSD will outpace the market capitalization of Tether in an instant. Market Saturation: As in any market, when an opportunity as large as the demise of the monopoly force comes into existence, many firms are willing to throw extortionate amounts of money at the issue to ensure that they become the next market leader. Such an opportunity is too big to miss and so many firms have now entered the market to become the stablecoin of choice in the industry. Thus far, TrueUSD is achieving well in third place at the time of writing by market capitalization against strong competition such as USDC (owned by Coinbase and Circle) and Tether. If TrueUSD wishes to become the stablecoin of choice moving forward then they will have to pick their market segment carefully to ensure they are best in class, the age of the all-encompassing stablecoin is over. For TrueUSD, tokenization of real-world assets alongside exchange integration appears to be their best bets. The Tether scandal should leave individuals questioning how they wish to store their funds in times where speculation is unprofitable and stability is necessary. TrueUSD provides a fully collateralized, third-party audited and legally backed stablecoin that utilizes a distributed network of trusted escrow accounts to ensure user funds are safe at all times. Such advantages may be utilized by traders looking to hedge their portfolio, those wishing to tokenize their assets or individuals looking to escape corrupt regimes is up to the individual. Now that such secure alternatives are available perhaps it is time for market participants to consider their options in an increasingly saturated stablecoin market and only strive to use the best. At current, TrueUSD appears to be just that, the most trusted stablecoin available in the market. Trade Futures Contracts with TrueUSD as a deposit currency. Go Long or Short on various altcoins trading pairs with up to 50x leverage. Disclaimer : BBOD Research is an independent cryptocurrency research-house. The company has not received any remuneration (cryptocurrency or otherwise) in preparing this analysis. This report has been prepared solely for informative purposes and should not be the basis for making investment decisions or be construed as a recommendation to engage in investment transactions or be taken to suggest an investment strategy in respect of any financial instruments or the issuers thereof. This report has not been prepared in accordance with the legal requirements designed to promote the independence of investment research and is not subject to any prohibition on dealing ahead of the dissemination of investment research under the Market Abuse Regulation (EU) No 596/2014. Reports issued by Trade the Future Holding (“BBOD Research”) or its affiliates are not related to the provision of advisory services regarding investment, tax, legal, financial, accounting, consulting or any other related services and are not recommendations to buy, sell, or hold an asset. The information contained in this report is based on sources considered to be reliable, but not guaranteed, to be accurate or complete. Any opinions or estimates expressed herein reflect a judgment made as of this date and are subject to change without notice. BBOD Research will not be liable whatsoever for any direct or consequential loss arising from the use of this publication/communication or its contents. Trade the Future Holding and its affiliates hold positions in digital assets and may now or in the future hold a position in the subject of this research. Total crypto market cap is down 1.7% w/w, with 75% of the top 100 coins by market cap trading down w/w. In the last 24 hours, 87% of the top 100 are trading up whilst BTC is down 1.29% and ETH is down 1.92%. BTC, ETH and XRP lead the market cap respectively. Whilst Wall Street crumbled under the midst of the largest financial crisis since the great depression and possibly the greatest financial scandal of all time, an alternative financial infrastructure was being quietly developed online in order to destroy the current status quo. Although Bitcoin would not be discovered by the mainstream until the speculative mania of 2017, the foundations for a new way of transferring value between individuals was already firmly laid. No longer would banks be necessary for individuals to transact trustfully with one another. Instead, a financial system had been built with trust inherently baked into the Bitcoin code. Such trust is immutable, it cannot be tampered with, it cannot be censored and it cannot be seized. The world is still waking up to what Satoshi coined a “purely peer-to-peer version of electronic cash that would allow online payments to be sent directly from one party to another without going through a financial institution.” But as we loom on the edge of another global financial crisis, how much longer will individuals place trust in intermediaries who continually exploit everyone but themselves. Bitcoin has provided an exit sign for individuals to leave this corrupt system and become their own bank. Such financial freedom is arguably one of the most impactful inventions one will see in their lifetime. One thing is for certain, Bitcoin is here to stay. Fidelity, the renowned asset management franchise, announce the launch of their cryptocurrency investment vehicle, Fidelity Digital Assets, aimed at onboarding institutional investors to the marketplace. The firm is currently the 5th largest asset management company in the world, with a total of $7.2 trillion of customer assets under their control. This dwarfs the current market cap of the cryptocurrency industry, a mere $200 billion at the time of writing. If just 10% of their total assets were to become cryptocurrency assets in the future, this would sharply bring the cryptocurrency market estimation towards a trillion itself. Alongside the other institutional investment onramps which are around the corner, such as Bakkt, early retail adopters are almost certain to cash in big on their curiosity and foresight. Based in Boston, the limited company aims to bring industry-grade custody solutions for institutional investors not possible with traditional unregulated cryptocurrency exchanges. They will achieve this with a geographically diverse set of cold storage locations which are disconnected from the internet itself and vault protected. At current, Institutional investors are simply not willing to risk the large sums of capital they have at their disposal on exchanges which could be shut down, hacked or exit scammed at any moment. Instead, such market participants need assurance from regulated and familiar mechanisms that their funds are secure at all times. The firm will also provide a cryptocurrency trading platform alongside 24/7 institutional advisory services to cater to the market that never sleeps. Tom Jessop, founder of Fidelity Digital Assets states that “This is recognition that there is institutional demand for these assets as a class, family offices, hedge funds, other sophisticated investors, are starting to think seriously about this space.”. Ultimately, it is clear that the institutional herds are coming with the funds needed to really push this market into a new era, for better or worse. Optimistically, this institutional jumpstart could be exactly what the market needs right now to keep momentum, allowing the underlying technology to continue to improve at an exponential rate. Cryptocurrency titan, Coinbase, receives a further $300 million dollar investment in their most recent round of funding, leading to a total valuation of over 8 billion dollars (Coindesk). Bakkt is set to be launched in December, a cryptocurrency exchange founded by the intercontinental exchanges (ICE) seeking to solve the custody problem for institutional investors, confirming a new era of investment from retail to Wall Street may be on the horizon (Bitcoinist). The US Securities and Exchange Commission (SEC) launches a Strategic Hub for Innovation and Financial Technology, in hopes of updating individuals on SEC regulatory issues, in order to be more transparent and create greater confidence in the market. (The Daily Hodl). Since the inception of the Internet, it has become impossible for content creators to claim individual ownership of their works and to ensure such original creators receive the monetary benefits from their creative outputs. This is the result of the Internet’s inability to provide unique content which cannot be copied by individuals and spread freely over its vast distributed network. With over 3 billion individuals having access to the Internet, who all possess the ability to copy original content with ease, trying to stop the flow of illegal content between parties is simply impossible. Moreover, it is not only individual actors who take advantage of the ability to stream content globally, well-known centralised digital content providers such as Spotify, Youtube and Netflix all profit substantially from monetising digital content which is not of their own creation. Ultimately, this process often leaves original content creators with a tiny fraction of the actual profit they should be receiving for their creative endeavours and large corporations with the majority. On the opposite side of this dilemma, individuals themselves no longer physically own much of the digital content they consume. People simply pay for subscription services and become drip fed by whichever corporation they choose to worship. Many may argue that, in fact, this is not an issue for the individual, as digital content has never been so easy to consume, yet is convenience necessarily a good thing without rights to ownership? In the past, individuals collected physical possessions over the period of their lifetime, such as books, records and photo albums, which could then be passed down to their family. This not only acted as a memoir of deceased loved ones but also a mechanism of passing value down through generations. Today, little of what we consume is actually ours and consequently, we cannot monetise our possessions when needed for ourselves or our children. In order to tackle the dissemination of creator content, Elastos [ELA] proposes a unique Blockchain design philosophy which detaches original content from the internet itself and runs separately on what Elastos has coined the ‘Smartweb’. Here creators content will not be uploaded to the internet that we know today, rather, it will be placed on a decentralised application on Elastos ‘Runtime’ software. ‘Runtime’ will enable individuals to store, view and exchange original content peer-to-peer on their personal smartphones or computers without connecting to the internet itself. Instead, Elastos will utilise the Blockchain only to confirm transactions between parties and verify their identity without needing a third party. Thus, creators using the system will have the ability to attach their personal identity to their unique content on the Blockchain, allowing them to track exactly how many individuals are consuming their content, ensuring all revenue is sent directly to the original artist rather than unnecessary intermediaries. Moreover, Content creators will have the ability to introduce the concept of digital scarcity to their work, limiting the amount of digital content that can be bought by consumers to a fixed number. As in all markets, scarcity often creates increased incentives for individuals to purchase an item in a specific timeframe whilst supply remains fixed, increasing adoption and price over time. Such mechanisms should allow creators to reek the financial rewards they deserve for digital content, unlike in the current status quo. Additionally, the Elastos ‘Runtime’ ecosystem will benefit consumers of the network, by allowing them access to original content which they will digitally own, verified by their Blockchain Identity. Unlike in today’s markets where one merely owns the right to use a product for a specified amount of time via a subscription service, consumers of Elastos ‘Runtime’ network will have unconditional ownership of their digital assets. Much like in the physical content world before the era of the internet, this will allow individuals to generate future revenue if they decide to sell some of their digital content. For instance, perhaps, due to the scarcity of the digital content when first purchased, such an asset has now significantly increased in price as there is now huge demand and virtually no supply, one could benefit akin to selling a rare piece of art. This mechanism creates an entirely new smart economy by allowing anyone to participate in wealth generation through peer to peer free markets without the interference of costly and unnecessary third parties. Ultimately, Elastos allows digital content to be stored, viewed and traded in a secure and transparent manner. Without the need for third parties, creators are guaranteed to be rewarded with fair compensation for their creative output whilst consumers can benefit from their digital content ownership. Within this closed environment, the projects native ELA token will be used to pay for access to content that individuals desire. 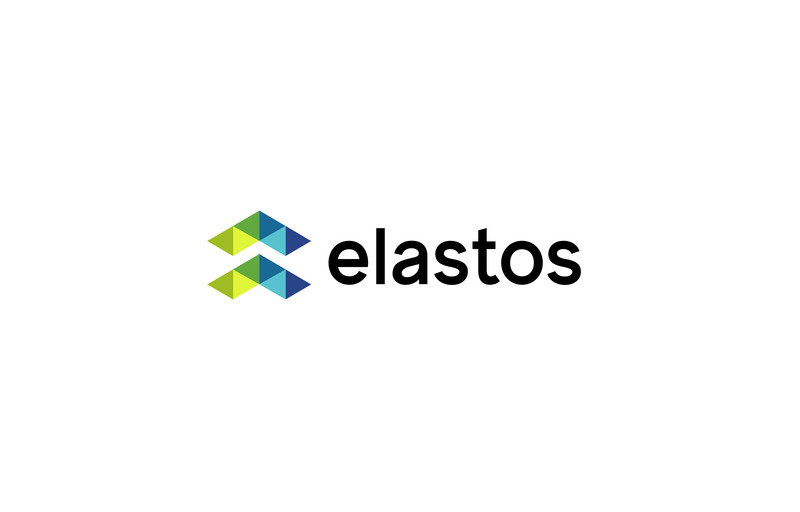 ELA can then be spent within the Elastos ecosystem itself or transferred to any other financial network. Rewarding Content Creators: Since the introduction of the internet, content creators have lost out significantly as they have no means of stopping the dissemination of their artistic works. Moreover, unnecessary intermediaries have profited substantially by providing user-friendly interfaces which consumers have gravitated towards due to their ease of use. This is only set to continue as more individuals have access to the internet and product offerings become more sophisticated. Elastos provides a way out of the traditional content economy that allows creators to become the sole beneficiaries of their work, an idea that would not be possible without Blockchain technology and certainly appealing to creators themselves. A Universally Beneficial Ecosystem: Not only does Elastos benefit content creators, but it also allows consumers themselves to take back the ownership of their digital content. This should attract individuals who are fed up with paying for subscription services that have the right to remove content at any time. Elastos allows consumers to benefit from the financial rewards of having exclusive ownership of digital content by exchanging such content in a peer-to-peer manner. Individuals can also feel confident that their purchase decisions are directly affecting the lives of the artists they admire. Longevity and Strength of The Elastos Team: CEO Rong Chen began work on Elastos after leaving a senior role at Microsoft in 2000. Over time, the project has evolved in line with the pace of technology to now include Blockchain technology, which now allows it to function. The foresight and longevity of the project suggest the team is certainly in this for the long haul. Elastos now comprises of over 52 team members, with well-respected Blockchain advisors including Jihan Wu (CEO of Bitmain) and Hongfei Da (Founder & CEO of NEO). Challenging Traditional Oligopolies: The market for content streaming services is fierce, with a few key playing dominating the space, such as Spotify, Youtube and Netflix. If Elastos is to overcome the huge amounts capital these companies have at their disposal, they are going to need to pursue aggressive marketing strategies in order to establish themselves as an alternative competing brand. Despite this, the overwhelming benefits for content creators who utilise the platform should push the market forward, if they decide to limit content exclusively outside of the traditional system. Copying Copyright Material: Although digital content will be detached from the Internet on the Elastos ‘Runtime’ software, this does not stop consumers from screen-capturing videos, text or rerecording audio. Individuals desire to find content for free will prevail if they search hard enough. Regardless, individuals who choose to do this will only receive knock-off versions of an original file of lesser quality, unlike today where original files can easily be copied and disseminated. Verification: Elastos have failed to state how they will verify content is uploaded by the original creator. Although a Blockchain ID will be assigned to each piece of digital content, there is nothing stopping someone else uploading a file to the ‘Runtime’ system and claiming it as their own. In order for this to occur, however, the fake uploader would have to possess the original file and upload it before the original content creator, a rare circumstance. Elastos provides an innovative alternative ecosystem for content creators and consumers to maintain full control of their digital assets and monetise them without the need for unnecessary intermediaries. The projects key strength is the ability to create a marketplace for digital content detached from the internet itself, Elastos ‘Runtime’, utilising the Blockchain only to verify the identification of content creators and to implement trustless peer-to-peer transactions. This has the potential to create an environment outside of the traditional corporate structure that will allow consumers to truly own their digital content and content creators to be rightfully rewarded for their creative endeavours. If Elastos can market their brand effectively, content creators could start transitioning exclusively over to the platform, leaving consumers no alternative but to adopt the system if they wish to enjoy their favourite artists. With support from cryptocurrency giants such as Bitmain and NEO and a dedicated team of 18 years, Elastos seem capable of successfully implementing their idea. Thus, as the mainstream begins to adopt decentralised applications, Elastos is certainly one to watch. This report has been prepared solely for informative purposes and should not be the basis for making investment decisions or be construed as a recommendation to engage in investment transactions or be taken to suggest an investment strategy in respect of any financial instruments or the issuers thereof. This report has not been prepared in accordance with the legal requirements designed to promote the independence of investment research and is not subject to any prohibition on dealing ahead of the dissemination of investment research under the Market Abuse Regulation (EU) No 596/2014. Reports issued by Trade the Future Holding (“BBOD Research”) or its affiliates are not related to the provision of advisory services regarding investment, tax, legal, financial, accounting, consulting or any other related services and are not recommendations to buy, sell, or hold any asset. The information contained in this report is based on sources considered to be reliable, but not guaranteed, to be accurate or complete. Any opinions or estimates expressed herein reflect a judgment made as of this date and are subject to change without notice. BBOD Research will not be liable whatsoever for any direct or consequential loss arising from the use of this publication/communication or its contents. Trade the Future Holding and its affiliates hold positions in digital assets and may now or in the future hold a position in the subject of this research. Binance began trading as a little known Chinese cryptocurrency exchange in July 2017, during a boom time for the marketplace as a whole. Utilising the fortunate timing of their project and an aggressive marketing strategy the company became the highest traded spot exchange by daily volume a mere six months after inception. This rise to fame was unprecedented and something competitors such as Bittrex and Poloniex certainly did not anticipate. Binance achieved such success by significantly beating competitors on tradings fees with 0.10% per trade as opposed to 0.25%. Additionally, they employed an extremely liberal coin listing policy, growing their community at an exponential rate by attracting traders from a wide pool of already well-established cryptocurrency projects. Today, the platform lists 280 active trading pairs with an average of 1 billion trading volume daily and over 9 million active users. In order to raise money for the platform, Binance launched their ICO for Binance Token [BNB] on July 2nd. Due to the substantial bull market of the time and their solid project, Binance sold the entirety of their 100 million BNB tokens within several minutes of availability. The token sold for an average price of 0.11 USD, equating to approximately 11 million USD total funds raised during their ICO. BNB is an ERC20 token based on the Ethereum blockchain with a max supply of 200 million, after which no more coins will be created. Although BNB is now widely acknowledged as a utility token for use on the platform, the value of the token also corresponds to the equivalent of a traditional stock, with holders owning a proportional share in Binance that will likely appreciate proportionally with the growth of the exchange. This is a particularly rare phenomenon in the cryptocurrency space, where the majority of coins do not have such a substantial functioning product supporting them. Currently, the main use case of BNB token stems from its ability to be used to decrease trading fees on the Binance Platform. Users can choose to pay for fees using BNB instead of utilising the cryptocurrency they are trading. If one chooses to do so they can expect 50% trading fees in their first year of membership, which decreases by half every year of subscription, until year five, where a discount no longer applies. In essence, BNB becomes the fuel for the Binance ecosystem, providing real-world utility to the token, unlike many other cryptocurrency projects whose promise of utility stems from the future success of yet to be released product. The reduction in fees is hugely significant to frequent traders as the platform itself currently undercuts any other exchange on the market without even employing the token discount, at 0.1% per trade. Combine this with the lowered fees when BNB is implemented to trade with and the exchange substantially undercuts its competitors on trading fees. For example Huobi and Bitfinex both employ trading fees of 0.2%. The oversight of Binance competitors higher fees is likely what drew many to the platform from in the first place. In order to counteract the decreasing value of the BNB fee discount over the period of five years, Binance has employed a quarterly coin burn for their tokens. Essentially, Binance will buy back BNB tokens from the market and send them to a public address whose private keys are unobtainable, effectively destroying the tokens. This decreases the supply of BNB in circulation with demand remaining the same, usually resulting in an increase in price as the token becomes more scarce. This ingenious tactic has gained much publicity and succeeded in its aim thus far, with prices increasing substantially before coin burns that have occurred in the past. Binance aims to do this every financial quarter with 20% of their profits. So far they have met their promise, with 986,000 BNB burned in their first quarter, 1,821,586 BNB in the second and 2,220,314 BNB in the third, approximately 30 million USD at the time. The process will continue until half of their total supply remains, 100 million BNB. Such a mechanism has captured the attention of investors who will likely hold onto BNB for speculation purposes once users fees no longer decrease by utilising the token for trading fees. With increased visibility into the valuation of the BNB due to its direct correlation to the success of the exchange, no doubt prices will increase if the business continues on its current trajectory. Continuing their effort to provide BNB with meaningful value, the Binance Launchpad program allows individuals to invest in certain cryptocurrencies that are in the process of being listed on the platform using BNB. This furthers the tokens use case and creates a seamless marketplace between available ICOs and the exchange itself. Additional add-ons such as the Launchpad program increase the utility of the token and hence its demand, potentially leading to an increase in price. Continuing the process of frequently improving the usability of BNB will likely be key to the tokens success going forward. Such efforts thus far include Monaco adding BNB to their cryptocurrency Visa Card/App and the ability to buy virtual gifts on Uplive using the token. Looking to the future, Binance plan to build a decentralised cryptocurrency exchange (DEX) which will utilise the BNB token as the primary base asset and gas to be spent. Binance has coined this project Binance Chain, although it is still in the stages of development, admittedly aiming to outsource the underlying technology by providing a 1 million USD bounty and a job at Binance to an individual with a successful proposal. Although, if Binance Chain is as successful as Binance itself, BNB will gain significant value from a substantial increase in demand for the token for investors to utilise on the DEX platform. Moreover, they would mitigate regulatory risks of their current centralised exchange, as decentralised exchanges are inherently impossible to shut down. Despite this, the current DEX environment has largely suffered from a lack of usability, functionality and liquidity. Thus, pulling off a decentralised exchange successfully at this moment in time would be no easy feat. Organic Growth Through Reputation: Binance’s significant success in the cryptocurrency spot exchange market thus far has gained them substantial brand recognition in the marketplace. Couple this success with an ever-expanding user base and this could translate into sustainable long-term growth for the BNB token. Continual Drive for Innovation: Since their inception, Binance has made continual strides to expand their product offering and overall ecosystem. For example, improving the functionality of the exchange itself, introducing the coin burn function and offering market participants the opportunity to invest in cryptocurrencies utilising BNB in their Launchpad program. Further efforts to improve the Binance ecosystem will not go unnoticed and will certainly affect the price of BNB. Sustainable Growth During a Bearish Market: Although the fortunate timing of the implementation of the exchange can be seen as luck by many, Binance have not failed to increase their market dominance this year in a declining market (approx. -70% YTD). The consistency of trading volume, hovering around 1 Billion USD per day suggests that when the market decides to turn bullish, the number of individuals who utilise the platform and its token will increase. Regulatory Environment: Since the success of BNB is entirely hinged on the success of the Binance exchange, the centralisation of the exchange may become an issue if regulators choose to crack down on cryptocurrency exchanges in general and make an example of them as a key figure in the industry. The platform has shown no interest in complying with regulators and so the way forward appears to be creating their decentralised exchange Binance Chain, which they are far from realising. Market Saturation: Now that the market for exchanges is becoming incredibly saturated, firms with capital are employing aggressive strategies such as feeless spot exchanges, eradicating the need for BNB’s fee reduction utility. Despite this, none have diversified their market as much as Binance thus far and it will be hard to keep pace if the company pays attention. Centralised Ownership: Ultimately Binance is a centralised exchange and thus decisions on what utility BNB should hold are made by management officials. This removes the right for token holders to collectively decide the fate of their token going forward. Although, so far, one would be stretched to challenge the decisions for BNB’s utility, as the strategies implemented seem to have largely paid off. The initial incentive to buy BNB tokens was to gain discounted trading fees on the Binance platform, as doing so would substantially out-compete other spot exchanges on fees. Although this function is slowly being phased out over the period of five years, over time Binance has presented multiple other utilities for their token such as the ability to invest in ICOs to be launched on the Binance platform using BNB and the future hopes of utilising the token on Binance Chain, their decentralised exchange in the early stages of development. Couple this with token burning to slowly decrease the supply of BNB and Binance seem to know how to create sustainable long-term value for their BNB token. Hence, looking forward, as long as Binance can keep pace with the ever-evolving regulatory environment, BNB appears to have a bright future ahead of itself. BBOD Research is an independent cryptocurrency research-house and research arm of BBOD Exchange. The company has not received any remuneration (cryptocurrency or otherwise) in preparing this analysis. Tether (USDT), destabilises causing widespread panic on centralised exchanges as traders convert their USDT for Bitcoin. The International Monetary Fund (IMF) proposes concerns regarding the rapid adoption of cryptocurrencies and how hacking events of centralised exchanges could threaten the international financial system. Tim Berners Lee, the father of the World Wide Web introduces his new venture inrupt, which aims to decentralise the web, allowing users to possess control of their data as initially intended. Total crypto market cap is up 7.25% w/w, with 80% of the top 100 coins by market cap trading up w/w. 30% of the top 100 are trading up in the last 24 hours, whilst BTC is down 0.1% and ETH is down 1.4%. BTC, ETH and XRP lead the market cap respectively. On Monday morning GMT, Bitcoin soared in price from $6200 to $7500, before settling around the $6900 mark. Although this has allowed Bitcoin to break through the major declining price resistance formed over the past few months, whether this move is sustainable remains to be seen. The move comes after considerable controversy regarding Tether (USDT), a stable coin utilised by the majority of traders on centralised trading platforms. Despite its name, USDT has failed to remain tethered to USD, with considerable premiums being seen on notable exchanges who offer the cryptocurrency as their prominent tethered pair, such as Bitfinex, Binance, Kraken and OKEx. For example, USDT dropped up to 10% in value on some exchanges, trading at $0.9 on Kraken. Consequently, the sudden increase in the price of Bitcoin can almost certainly be attributed to traders moving funds from their devaluing ‘stable’ currency into Bitcoin itself. The irony in this move is unprecedented, with individuals usually relying on the stability of USDT in Bitcoin downturns. It appears for the time being Bitcoin has become a better store of value than USDT itself. So what caused USDT to crash? The debate over USDT’s solvency is not new, many sceptics have questioned the reliability of the centralised stable coin, which is merely backed by the US dollar in a traditional bank account for some time. If the bank refuses withdrawals, a centralised exchange simply cannot allow their users to withdraw tethered funds themselves. As predicted, the solvency debate has now come to a head, with Bitfinex suspending withdrawals of USDT as a result of losing their banking partner Noble Bank, who supposedly backed USDT, alongside HSBC refusing to back USDT moving forward. Moreover, this has lead other centralised exchanges such as OKEx to suspend withdrawals causing further panic for market participants. Bitfinex is now desperately trying to secure USD fiat pairs to reconcile themselves, but with such significant setbacks, it is hard to say whether USDT will ever be able to regain the credibility necessary to function as a tethered currency in the future. A push towards a decentralised stable coin, not backed by funds in a US bank account, such as MakerDAO’s DAI, could become a necessary scapegoat for those looking to find a stable hedge in market downturns in the future. The latest International Monetary Fund (IMF) report, “Challenges to Steady Growth”, proposes that the rapid growth of the cryptocurrency marketplace over the past 2 years could pose a substantial threat to the international financial system as world banks struggle to keep pace. The report places a strong emphasis on how the increased adoption of cryptocurrencies could allow for large-scale hacking attacks on centralised platforms which do not have high enough security measures to prevent sophisticated hackers from infiltrating their wallets. Thus, the IMF claims that the continuing adoption of cryptocurrencies by both retail investors and institutions could create significant vulnerabilities in the traditional financial system, as both parties begin to perceive cryptocurrencies as alternative means of value and begin utilising them for speculative or business purposes. Ultimately, the IMF suggests that if large institutions are to adopt cryptocurrencies, for instance, Ripple (XRP) for industries such as remittances, then the security of storage must be industry grade and backed by insurance mechanisms to ensure the safety of funds. Failing this, both industry players and individuals could suffer large-scale loses causing financial chaos. Despite this, some bullish cryptocurrency advocates such as Emin Gun Sirer, a well-regarded professor at Cornell University, stated that any recognition from the IMF that cryptocurrencies are becoming a notable asset class is optimistic for the industry as a whole. Moreover, decentralised exchanges are now allowing decentralised custodial services to their clients, which are finally allowing individuals to utilise the power of the underlying blockchain technology to keep their funds secure outside of centralised wallets. “I’ve always believed the web is for everyone,” Wrote Tim Berners-Lee, the iconic British engineer and professor of computer science who notoriously gave away the World Wide Web for free some 30 years ago. “The web has evolved into an engine of inequity and division; swayed by powerful forces who use it for their own agendas,” Berners-Lee added in a recent blog post. We are at a critical tipping point for the internet, where privacy scandals are awash in the worldwide media and at the forefront of consumers minds. Individuals are rapidly losing trust in centralised authorities in our digital age – and they are demanding solutions. This was sparked by the infamous Cambridge Analytica scandal followed by the recent Facebook confession that they were using metadata to target specific voters for Trump’s political campaign. As such, individuals are no longer in the dark concerning how their personal information is being exploited for commercial or political gains. As a result, in late September the father of the internet announced a new project coined inrupt, a project with a mission to decentralise the Web. Backed by Glasswing Ventures, the inrupt ultimately aims to restore power to individuals rather than the commercial bad actors who actively seek to capitalise on user data. Thus, inrupt’s true goal is complete decentralisation of the web placing privacy at the forefront, allowing the user, and only the user, to own the rights to their personal information. Now the race to secure user privacy has officially begun, inrupt’s visionary leader may just place them at the forefront of this process. Coinbase adds 0x (ZRX), the first ERC-20 token to be added to their product offering for customers worldwide (Bitcoin Magazine). A user of the Bitcoin distributed network confirmed to have transferred $194 million USD valued in Bitcoin for a transaction fee of 10 cents, a feat unimaginable in traditional markets (CCN). Currently, the development of smart contracts is left solely in the hands of those who create a blockchain project. Although such contract creators are often highly skilled in their field, the potential for oversight of vulnerabilities in their code is highly possible as a result of a single point of failure, with only a few individuals ensuring optimal smart contract security. The importance of auditing smart contracts efficiently cannot be understated. Without such a mechanism, projects that are backed by huge sums of investors money could be vulnerable to attack once deployed on the Ethereum network. For instance, Quantstamps whitepaper presents two notable hacks where $30 million and $55 million were respectively stolen, as a result of flaws in smart contract code. This is the exact scenario Quantstamp seeks to prevent. With the creation of new ERC-20 tokens being a continual process, and only set to increase in volume in the future, Quantstamp’s services are likely to be in high demand. Quantstamp aims to solve smart contract impenetrability by creating the leading decentralised protocol that will provide security auditing for smart contracts based on the Ethereum network. In essence, Quantstamp allows developers of smart contracts to submit their work to their protocol where numerous security auditors can review the contract, in order to receive QSP tokens as a bounty. The level of auditing required is set by the initial developer who pays such fees to any individual who identifies a problem within the smart contract. When the project launches in Q2 2019, Quantstamp protocol will comprise of two main types of security audit. Firstly, their software verification system that is entirely automated will scan Solidity programs for bugs. The software is designed to become more intelligent over time as the result of artificial intelligence, allowing it to catch attacks of increasing sophistication. Secondly, Quantstamp will automatically provide a bounty to human participants in the form of QSP tokens who manage to find vulnerabilities in smart contract code. Human auditors receive compensation for their efforts and Quantstamps clients ensure the integrity of their cryptocurrency project. This multifaceted approach combines the best of artificial and human intelligence to form a strong alliance to fight against any proposed security threats. Thus, clients of Quanstamp should feel much more confident in the overall strength of their network than if merely working as sole actors. Quantstamp seems to have uncovered a gap in the market that needs to be filled. The project has the potential to become the leading security auditing protocol. This could provide the level of trust the community needs to feel safe in investing substantial amounts of money, by confirming a project is safe from attacks that currently plague the industry. With support from Binance, already completing numerous security checks for ICO’s launched on their exchange, the project looks to have a great future ahead of itself and is certainly one to keep a close eye on. In the continually evolving blockchain industry, unique problems to solve are always present yet often missed. Quantstamp’s vision to provide much-needed security to smart contracts is certainly a valid addition to the blockchain ecosystem. By decentralising auditing work and splitting traditionally expensive costs and knowledge amongst actors, Quantstamp could substantially improve the security of smart contracts moving forward, whilst providing a discounted price. With numerous successful audits already completed for reputable firms on the Binance platform, the project has the potential to become the go-to protocol for contract creators seeking network security in years to come. As the market for smart contracts continues to grow, Quantstamp could become an incredibly lucrative endeavour for investors if this holds true. Certainly, one to keep on your radar. Before July, one could be forgiven for being confused by the prospect of a Bitcoin ETF being introduced into the cryptocurrency ecosystem. Almost three months on, however, such ETFs have become synonymous with the term Bitcoin. To claim naivety of the ETF proposals at this stage risks entirely misinterpreting current market conditions. This article aims to ensure market participants are completely aware of the facts thus far including what exactly a Bitcoin ETF entails, when they are likely to be implemented and how they will impact the overall market. Exchange-traded funds, commonly known as ETFs, are a traditional investment vehicle offered on all major stock exchanges around the globe. The most notorious example of such a fund is the well-regarded S&P 500 on the New York Stock Exchange (NYSE). They allow exposure to an underlying asset or basket of assets offered in the form of a security that is proportionally represented by the funds’ shares. Most importantly, they allow exposure to a market without needing to physically hold or store the underlying asset, which is left up to the fund. For many years now, ETFs have become one of the key mainstream methods for passive investment by the masses in mainstream markets, as they are commonly associated with lower investment risks than individual stocks. Indeed, as ETFs allow an individual to buy a basket of multiple assets, they mitigate strong price swings which individual stocks often suffer from, especially in the incredibly volatile cryptocurrency market. Any losses from assets which do not meet up to their promise are counterbalanced with assets which have performed particularly well and the growth of the overall industry during that period. Driving up the funds share price over time. The notorious investment tycoon Warren Buffett once proved the power of ETFs with a successful bet that the S&P 500 would outperform a collection of well-regarded Wall Street hedge funds over the period of a decade. His victory truly displayed to the masses the power of such funds. One of the major barriers to mainstream cash inflow into the blockchain ecosystem has been the lack of institutional investors ability to purchase assets using traditional methods. Many do not understand that such market participants are simply not going to risk their hard-earned capital on unfamiliar and unregulated cryptocurrency exchanges, there is simply too much at stake. Instead, institutional money will enter the space once they can acquire cryptocurrencies without needing to hold the underlying asset, in a highly regulated and fully insured manner. Thus, for institutional investors crypto ETFs mitigate the risks of the industry whilst allowing them to profit from one of the greatest financial revolutions one will likely see in their lifetimes. Make no mistake, institutional investors want to get involved in the ongoing revolution, they simply want to do so in a highly regulated and safe fashion. Although the impact of such institutional investors on the market will likely be of a speculatory nature in the first instance, this huge influx of money to the market will bring much-needed market exposure. The media love to shame the cryptocurrency ecosystem as much as feasibly possible, calling it a scam or a fad on a regular basis. Such institutional money would bring credibility to the entire industry and allow well-respected entities who have been quietly investing in the cryptocurrency space to come out of the woodwork and into the spotlight. Ultimately this could lead to mainstream cryptocurrency adoption long term, as a result of the perceived integrity of the industry as a whole. The table above displays cryptocurrency ETFs which are currently laying the foundations for their approval. Such firms are on a waiting list ready for their hearing with the U.S. Securities and Exchange Commission (SEC), who will ultimately determine their fate. The notorious Winklevoss twins fund has already been turned down for the second time as of the 26th of July. Following this, the SEC has denied a following 9 applications, predominantly from Derivatives based ETFs such as GraniteShares and Direxion. Such a decision results from their perceived inability to provide significant liquidity due to their market size, which could lead to significant market manipulation. Despite such dismissals, the most important ETF which market participants should be fully aware of is the VanEck SolidX Bitcoin Trust who plan to release their ‘physically’ backed ETF on the notorious Chicago Board of Options Exchange (CBOE). Recently, the SEC hearing date was postponed to the 30th of September. The CBOE has true industry influence as the largest options exchange in the world and have proven themselves in the cryptocurrency market by introducing their Bitcoin futures market in late 2017. They have meticulously studied the failures of all previous ETF denials and reviewed their application accordingly. If an ETF is likely to get approved this year, this will most likely be the one. Despite all the hype, some sceptics suggest that ETF delays are usual, with Copper being the last ETF to pass through the SEC. With their reasoning, the likelihood of an ETF being approved in 2018 is minimal. However, regardless of whether a decision happens in the next few months or not, the market has certainly been responding rapidly to both positive and negative news. The first Winklevoss twins ETF denial news caused a flash crash which quickly corrected, whilst the delay of the major CBOE proposal caused a more prolonged fall in Bitcoins valuation. Ultimately, the market appears to be in a stalemate until a further delay, approval or disapproval occurs. The latter would likely cause a long-term downtrend, whilst an approval could see prices increase exponentially. As the 30th of September looms, the market tension builds. Be sure to have a plan for all situations to ensure one maximises or minimises the ETFs impact.